My order from SpicesInc was not my only birthday splurge for the month. I was also running low on vanilla, and I took the opportunity to place an order from Rancho Gordo for a bottle of Mexican vanilla—among other things. 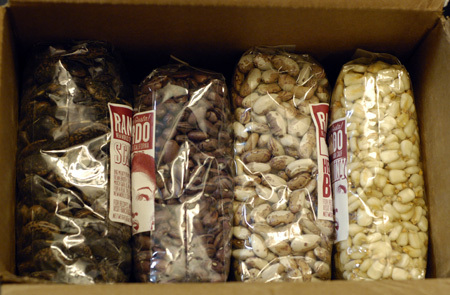 Rancho Gordo is famous for their heirloom dried beans, and I have been wanting to purchase some for years now. The main problem, really, is that it is nearly impossible to decide which varieties to try—they are all so unusual and gorgeous. In the end, I went with garbanzo beans, scarlet runners (some of which I hope to plant in the spring), Rio Zape, and snowcaps, each a different sort of bean. I also couldn’t resist getting bags of dried hominy and chia seeds, just for fun. I think each of these unique beans deserves their own post (or posts! ), so watch for those in the next month or so as I give them a spin. 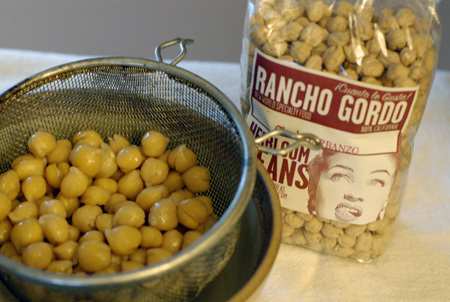 To get the ball rolling, I started out with the garbanzo beans, also known as chickpeas or ceci beans. I have to say, these have never been my favorite beans. I ate one after soaking and cooking them, and while the texture was excellent, I am still not likely to get all worked up over them. For this batch, I wanted to use them in some way that would complement the homemade pasta and ragu bolognese that I had planned for dinner, but then I ended up just making hummus. I like my hummus garlicky, but I refrained from the use of any spices like cumin or paprika, or additions like roasted red pepper, in order to really let the garbanzos shine. 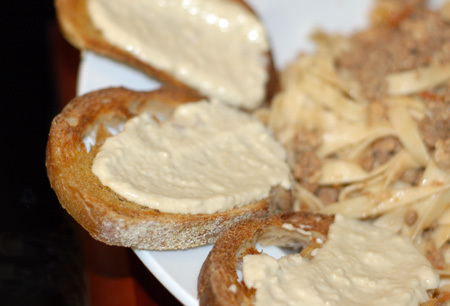 So it was just your basic hummus, but it was absolutely fantastic, so light it almost had a whipped consistency. I smeared it over toasted slices of sourdough to go with the pasta and almost spoiled my appetite snacking on it. I shared some with Nolan too, and was very pleased to see him eat it up. 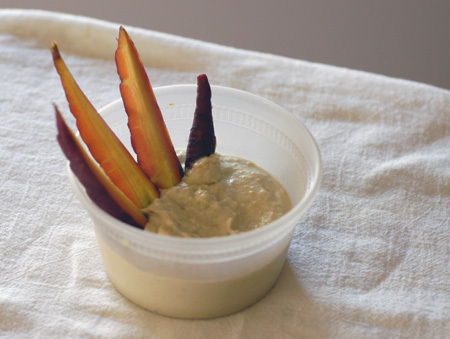 Today I’ve been crunching on purple carrot sticks dipped in hummus, which may be my favorite way to eat it. Nolan was less excited about that, I think because of the color more than anything—he has requested carrots in the past by pointing and saying “cheese,” so I think he expects them to be the same color as his slices of cheddar. Wow – these are some really healthy bday month choices. I’m impressed. We love hummus too. Thanks for the recipe! This sounds fantastic. I’ve never quite mastered hummus in the gazillion times I’ve made it. I think the cumin must have been what I was missing. I think I’ll make a batch up this weekend! Love a really good Hummus and yours sound wonderful.